Presentations can be imported from PDF or PowerPoint documents. 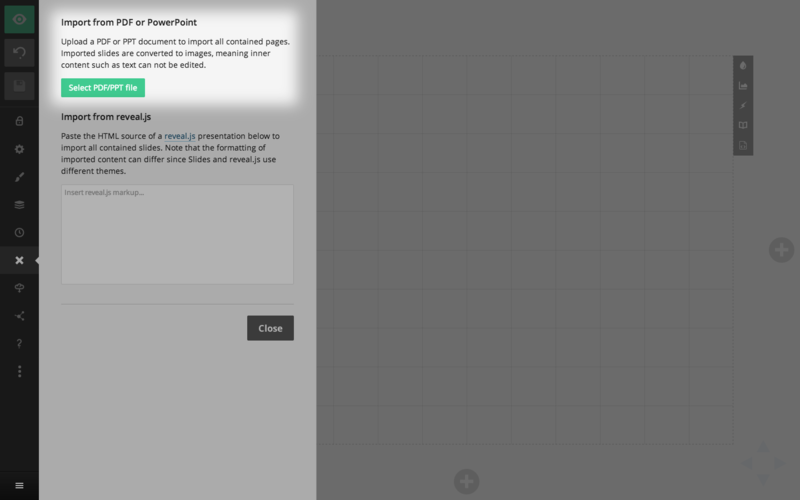 This feature is useful when you want to use Slides to share an existing deck or present it live. Imported slides are converted to images meaning their inner content can not be edited, however you can add new slides around the imported ones or remove/rearrange them. It may take up to a few minutes to complete your import depending on how many slides it contains. File uploads are limited to 100mb. 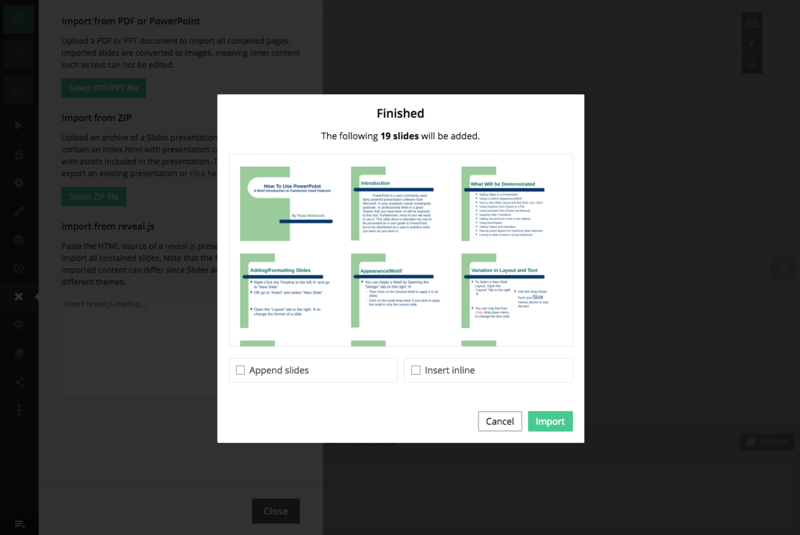 If you are trying to import a .ppt or .pptx document and it's not working please try exporting the presentation from PowerPoint to PDF and importing that. Once your import has finished processing you'll see an overview of the slides you are about to import. You can click on any slide thumbnail to exclude it from the import. Imported slides will replace the current presentation by default. If you'd prefer appending the new imported slides to the end make sure to check the "Append slides" option.